100% natural rubber soother. BPA, phythalate and PVC free. Suitable for ages 3m+. 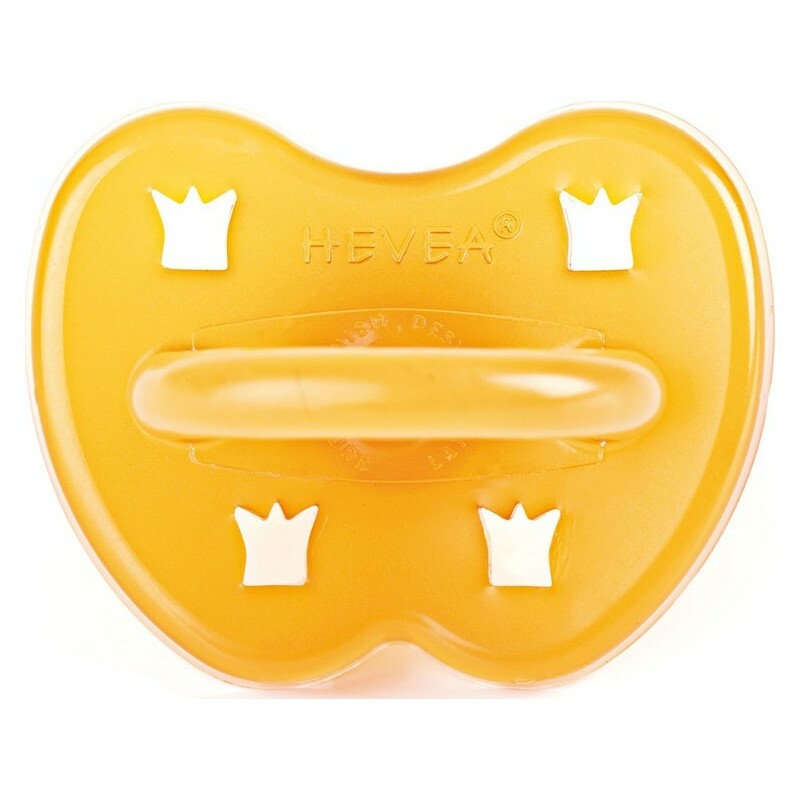 Rounded style, crown shaped ventilation holes on front of soother. 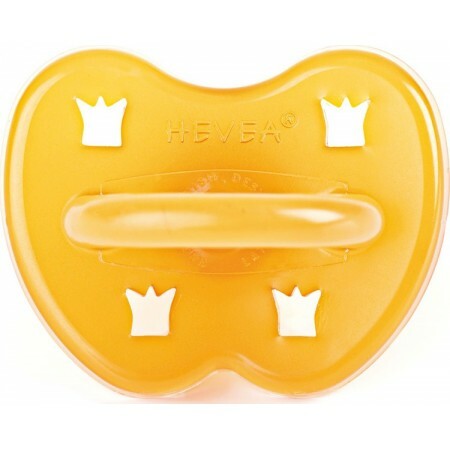 Crown design around soother designed for ventilation and prevents vacuum around the mouth. I actually bought this "just in case" and it ended up being perfect. My son took to it straight away. And i know it is doing no harm to him or the planet. My little man loves it, so soft and gentle, the breathing holes ensure he doesn’t get any redness around his mouth.